STAINLESS STEEL ROLO LINK NECKLACE. Material: Solid 316 Stainless Steel. Clasp: Stainless Steel Lobster Claw Clasp. Length: 23.5 inches. Style: Rolo link chain. Weight: Light. Width: 3mm. 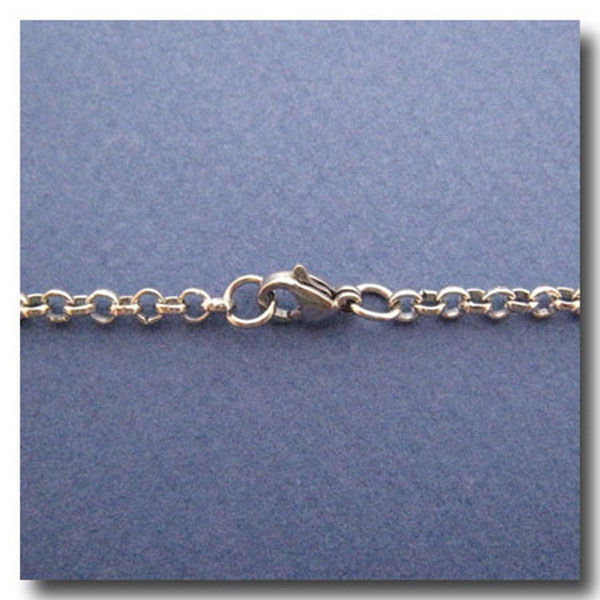 Hard to find classic stainless steel rolo (belcher) style necklace, here it is!